Hives, also known as urticaria, are raised, inflamed, and often itchy red bumps on the surface of the skin. Hives could be an allergic reaction to certain foods or medicines. They could also occur without any definite cause. As stated above, hives tend to occur as an allergic reaction to certain foods or drugs. When you have an allergic reaction, your body releases a nitrogenous compound, called histamine, into the blood. This could cause itching, swelling, and some other symptoms. Hives are a common reaction to this histamine release. Common substances that could trigger hives include; medicines, latex, chemicals, food additives, animal dander (especially cats), pollen, insect bites, as well as foods such as shellfish, nuts, and eggs. Hives may also form as a result of; extreme weather conditions, emotional stress, exercise, excessive perspiration, exposure to water, as well as infections and illnesses. Sometimes, the cause of hives is not known. Symptoms of hives may include; red bumps or welts (also called wheals) on the surface of the skin, itching, and wheals that get bigger, change shape, disappear, and reappear. In as much as hives may be uncomfortable, they are usually harmless and they do go on their own. However, when the hives last for more than 6 weeks, it is termed chronic hives. For chronic hives, there is usually no cause of the hives and they usually resolve on their own in less than a year. Strive to identify your hives trigger factors and avoid them. Opt for cold showers instead of hot baths or showers. You could apply calamine lotion to the affected areas to help soothe the skin and reduce itching. Try to minimize your contact with direct sunlight. Avoid wearing tight-fitting clothes which could irritate the affected areas. You could take up meditation, yoga, and deep breathing to help keep you relaxed and manage stress. You could consult a doctor if the hives prolong without any sign of subsiding. The antihistamine properties of apple cider vinegar reduce the inflammation associated with hives. It also regularizes the body’s response to allergens. Furthermore, apple cider vinegar helps in maintaining a problem-free skin in an excellent way. For this remedy, prepare a bathtub with warm water and add two cups of ACV in it. Soak your body in it for 15 minutes to relieve the discomfort. If the allergy is located in a small area, you may wash it with diluted ACV. Alternatively, you may also consume apple cider vinegar by mixing two teaspoons of it in a glassful of water. Also, add some honey and lemon juice to enhance the taste and drink it thrice every day. A cold compress may provide an instant relief to itchy skin. Cold compress cools and soothes the skin by shrinking the blood vessels and inhibiting histamine release, thereby reducing swelling and irritation. Take some ice cubes wrapped tightly in a piece of cloth and apply the cold temperature to the skin for at least 10 minutes. Repeat it 3-4 times in a day. Taking a cool shower is also helpful and reducing the temperature of the body and treating hives. Stinging nettle, being an effective antihistamine may help in relieving hives. Take a cup of hot water and add a tablespoon of nettle leaves (dried) in it. Cover it and allow it to steep for 12-15 minutes. Now, add a little honey and consume 2-3 cups of it every day. 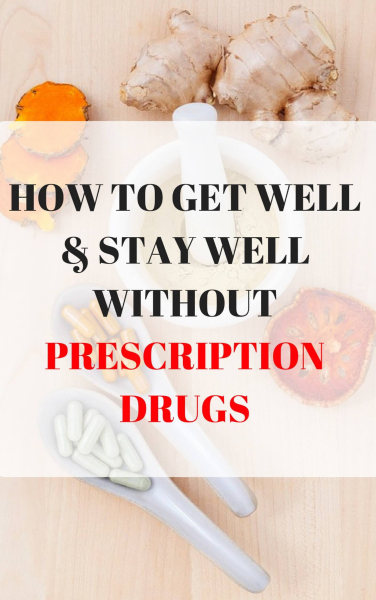 You may also take nettle supplements of 300 mg 5 times a day after talking with your doctor. Basil has antihistamine properties which inhibits the flare-ups and reduce discomfort. It also reduces inflammation which helps in reducing the swelling and redness associated with hives. Pour some hot water into a jar and add a tablespoon of dried leaves of basil to it. Let the beneficial properties of basil infuse with the water until it is cool. Make sure you cover the jar. Later, soak a clean cotton cloth in it and apply it to the affected areas of your skin. You may also apply some crushed fresh basil leaves directly on the problem spots. Let it dry and rinse it with warm water. Do these remedies several times during the day. The capsules of fish oil have omega-3 fatty acids which not only inhibits hives but also promotes healing. If you do not wish to take fish oil capsules, including fishes such as salmon, trouts, tuna, and bluefish in your diet would help to reap the anti-inflammatory benefits. Turmeric works wonders for relieving hives and helps reduce the discomfort associated with it. Turmeric induces the body’s ability to fight the condition in a natural way thereby reducing the inflammation. Furthermore, turmeric’s antioxidant and antihistamine nature heals the skin effectively. For this remedy, pour hot water into a glass and add a teaspoon of powdered turmeric to it. Mix well and consume it two times in a day. You may also use milk in place of water. Avoid using turmeric if you are taking blood thinning medication. Green tea is high in catechins which are known to relieve an itchy skin. Green tea is also loaded with antioxidants which promote healing. Take a cup of hot water and add green tea leaves in it. Let it steep for some minutes. Strain the tea and sip it 2-3 times every day. You may also add some honey to enhance its taste. Mint has a soothing action on the skin which may instantly stop the itching and irritation caused by hives. Take a cup of boiled water and add a few mint leaves to it. Let it infuse with the water for some minutes and strain it. Put the liquid in the refrigerator until it is chilled. Now pour it over the affected area to sooth it. Do this remedy 3-4 times in a day to drastically reduce itching and irritation. The strong astringent action of witch hazel is effective in reducing inflammation of the skin. Witch hazel cools down the skin to provide a great relief from itching. Apply it directly on the affected area with the help of a cotton ball. Let it stay for a few minutes, then, wash it away with water. It would constrict the blood vessels and relieve the condition. The ill effects of histamine can be controlled by vitamin D. Vitamin D not only strengthens the immune system but also promotes better health of your skin. You can apply any cream or gel that is formulated with adequate amounts of vitamin D and zinc. It will heal the area and effectively soothe the irritated skin almost instantly. You could also take vitamin D supplements. Consult your healthcare provider before taking any supplement. Ginger has antihistamine properties that block the sudden flow of blood in the capillaries. This makes it an excellent remedy for hives. Being an anti-inflammatory agent, ginger helps in reducing swelling and redness associated with hives. You can have ginger pops or prepare some ginger tea several times in a day. Oatmeal cools and soothes the skin and reduces itching. Itching may aggravate the hives. Therefore, it is important to stop the sensation of itching to keep the condition from worsening. Make a solution by mixing uncooked oatmeal with baking soda and water. Spread it on the affected area and cover it with a cotton cloth. This would help in preventing inflammation and itching. Licorice root is another natural ingredient that may effectively treat an inflammation. Take hot water and steep licorice roots in it for 15 minutes. Strain the liquid and add a small amount of honey to it. Drink it once every day for effective results. This remedy is not advisable for people on diabetic medications. Aloe vera has anti-inflammatory attributes which minimize the discomfort caused by hives. Furthermore, the antimicrobial nature of aloe vera helps in soothing the skin in an incredible way. Take some freshly squeezed aloe vera gel and apply it topically on your skin for an instant relief. You may also drink its juice on a daily basis to strengthen your immune system and fight the condition in a more effective way. Aloe vera helps in eliminating toxins from the body, thereby eradicating the problem. Thyme oil has antibacterial properties which may prove to be beneficial for the skin. Due to this reason, it is often used to treat hives. You could dilute the thyme oil in a carrier oil (such as coconut oil and olive oil) and apply it to the affected areas. Wearing tight clothes made of unbreathable fabric may worsen your condition. Such clothes may irritate the skin and cause itching. The best way to deal with the condition is to wear comfortable clothes made of cotton. This would help in reducing any friction to the skin and allow enough air to keep the skin cool and reduce the likelihood of flare-ups. Including probiotics, such as yogurts and kefir, in your daily diet would help in improving your gut flora and your immunity. Probiotics may reduce symptoms of allergic reactions caused due to allergens, thereby reducing the likelihood of having hives. Have a cup of plain yogurt with your meals every day. The bark of red alder is extensively used to treat hives. It relieves itching and inflammation in an effective way. Simply rub a paste of powdered red alder bark gently against your skin for some minutes to soothe the skin. You may also drink tea made by infusing red alder bark in hot water for 8-10 minutes. Having potent anti-inflammatory and antimicrobial properties, tea tree oil is a natural and effective remedy for hives. For this remedy, dilute a small amount of tea tree oil by mixing it with a carrier oil, such as coconut oil or olive oil, and apply it over your skin for a long lasting relief from itching. Being anti-inflammatory in nature, baking soda is another great remedy for hives. It soothes the skin and reduces itching and discomfort in a fast manner. Fill a bathtub with warm water and add a cup of baking soda to it. Then, soak yourself in it for half an hour to gradually relieve the condition. You may also apply baking soda directly on your skin for a faster action. Mix it with water to make a paste and spread it evenly on the inflamed areas. Let it stay for some minutes and wash off with lukewarm water thereafter. Acupuncture may aid in relieving and alleviating symptoms of hives. 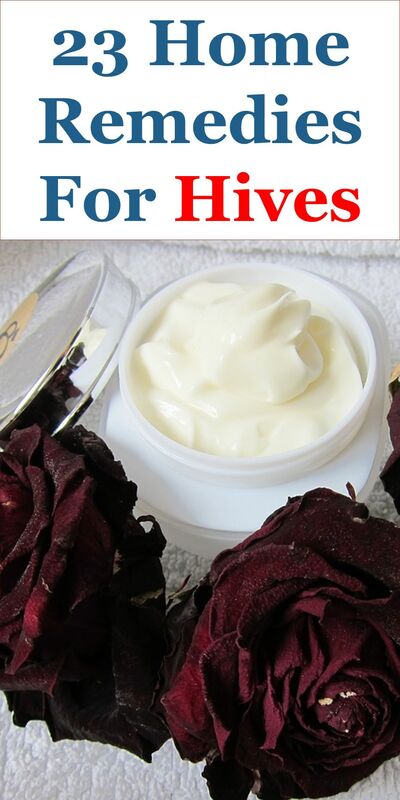 It works by inhibiting the root-cause that is responsible for hives. Make sure you get it done by an experienced professional to reduce any complication. Bromelain is a pineapple derivative which can be used to treat allergies. You may either take it orally or simply apply it on your skin to relieve the symptoms associated with hives. It would reduce itching, redness, and swelling of the skin in a natural and effective way. You should also include pineapple and pineapple juice in your diet as pineapple is rich in bromelain. One of the most common triggers of hives is stress. Therefore, reducing stress by calming your senses may help in dealing with the problem in a natural way. Chamomile has a soothing action on your body which helps in reducing stress. Take a cup of hot water and add some dried flowers of chamomile into it. Let it infuse with the water for 10 minutes. Strain the solution and add some honey to enhance the taste. Drink this tea 3-4 times a day to keep stress away and relieve the symptoms of hives.